This article will show you how to set up your Freshsales + Hugo integration. To learn more about how the integration works in the Hugo app, click here. Ensure you have an existing Freshsales account and are logged in. In Freshsales, click your profile picture in the top-right corner, go to settings > api settings > reset API key and copy the new api key to your clipboard. Locate the Freshsales card and click enable. 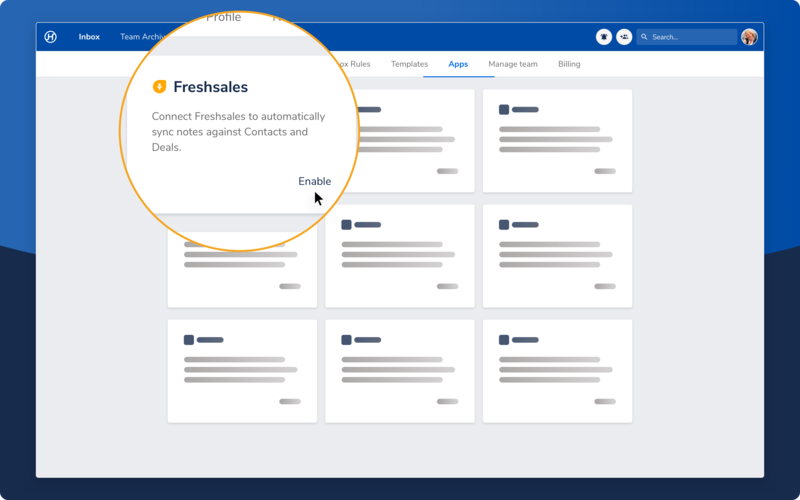 Copy / paste the API Key and enter your unique company Freshsales domain. Be sure to exclude everything before/after your domain (i.e. "https://"). 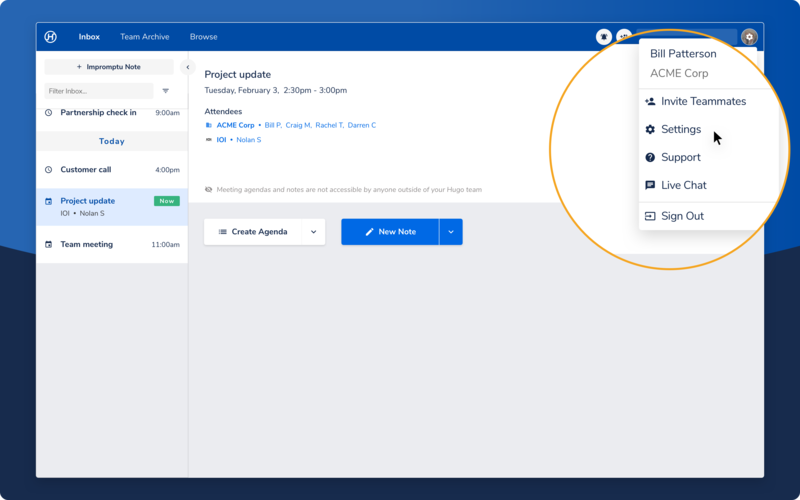 You can also select some additional settings on the Freshsales integration page: Enable Auto-sync notes and Hugo will detect if a meeting attendee matches an account in Freshsales, automatically adding an action to sync your Hugo note to that account. You can also change the default call type.